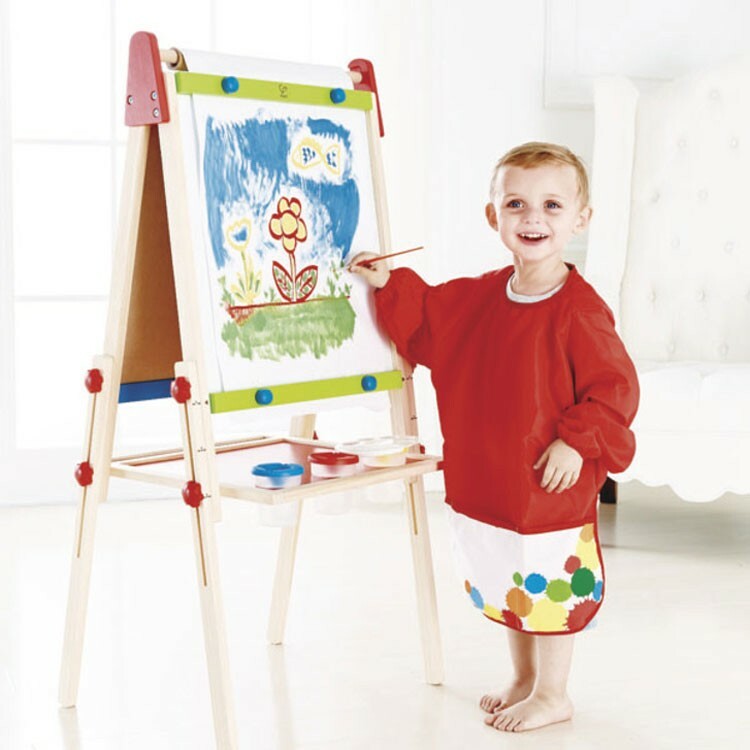 This Little Pro Painter Set includes a terrific long-sleeve vinyl smock top, artist palette, and a paint brush. More and more artistic fun, but no more messy clothes! 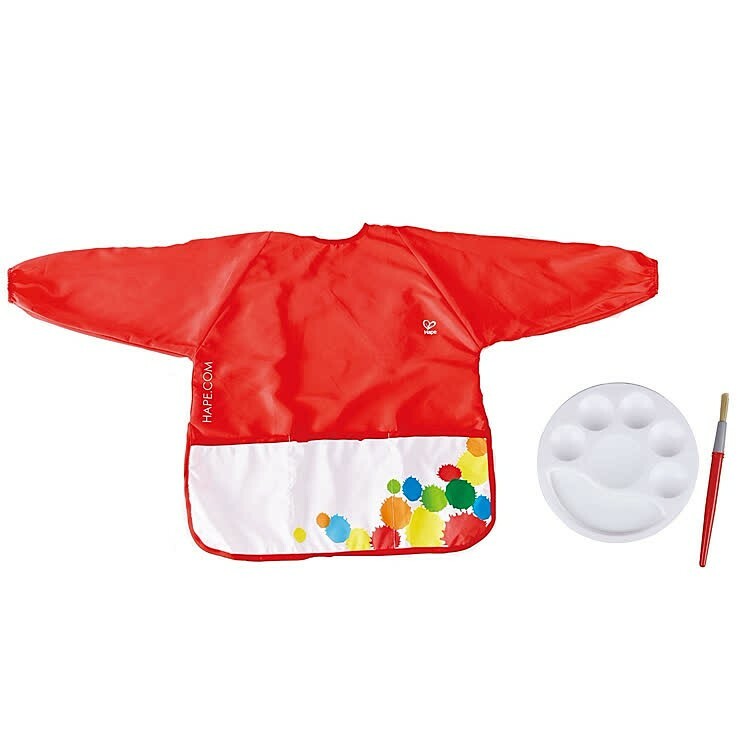 Just put on your child theLittle Pro Painter Art Smock and Accessories Set by Hape before he/she is ready to paint, glue, or craft. 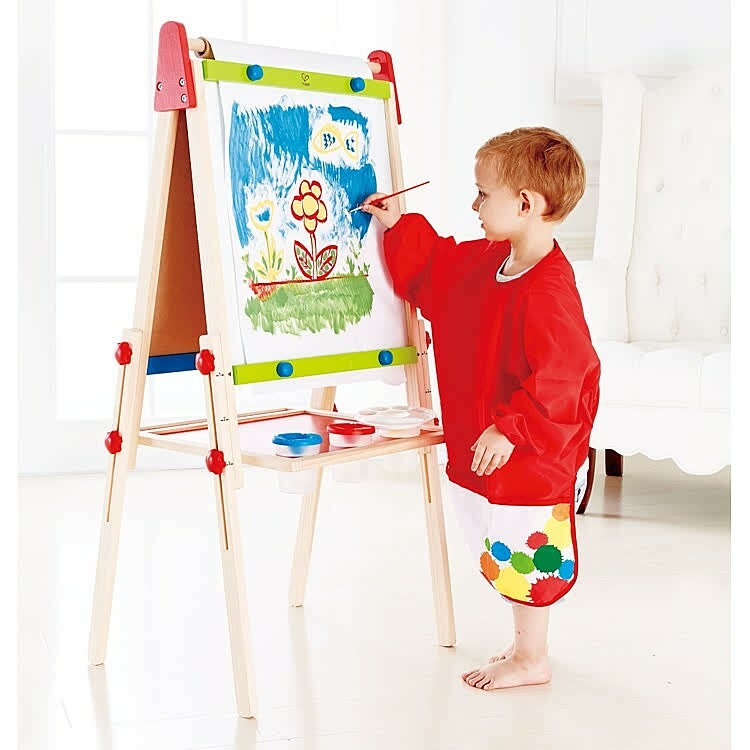 This accessory set for little artist includes 3 pieces: a long-sleeved painting smock, paint mixing palette, and paint brush. 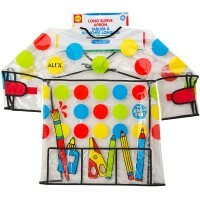 The thoughtfully designed little artist's smock covers all possible areas of mess, or most of them. 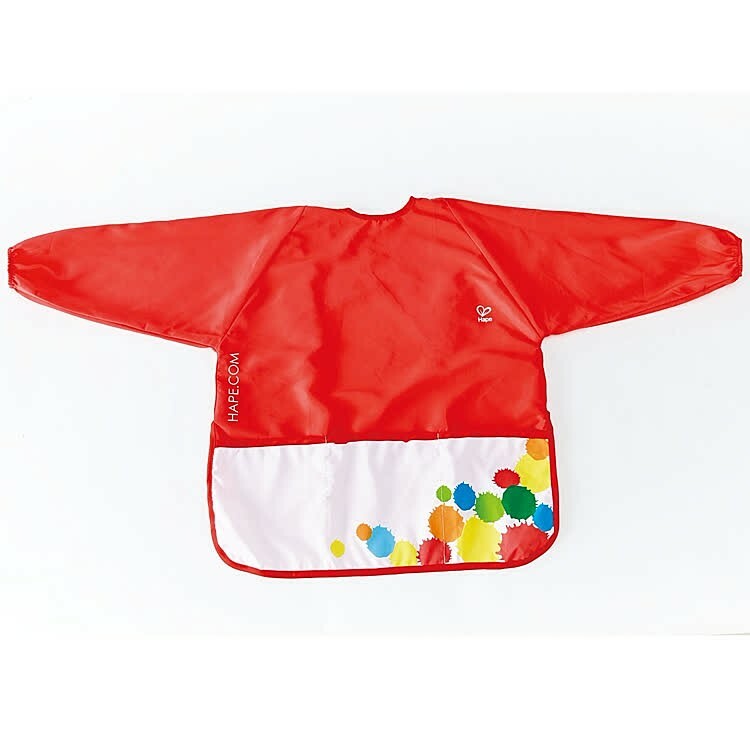 The bright red vinyl top with long sleeves extends as a colorful apron with front pockets. 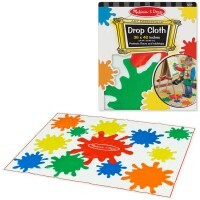 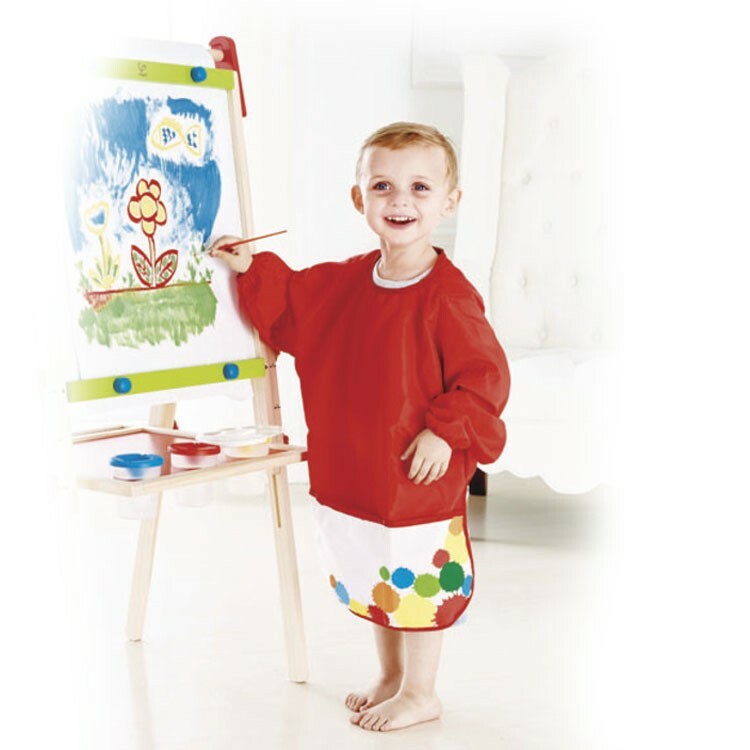 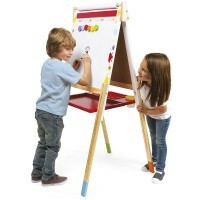 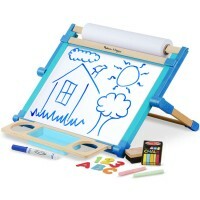 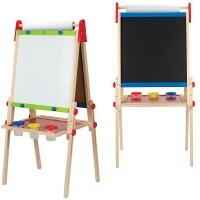 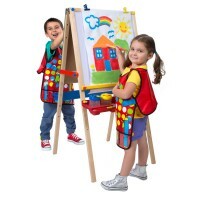 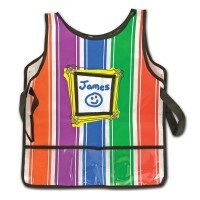 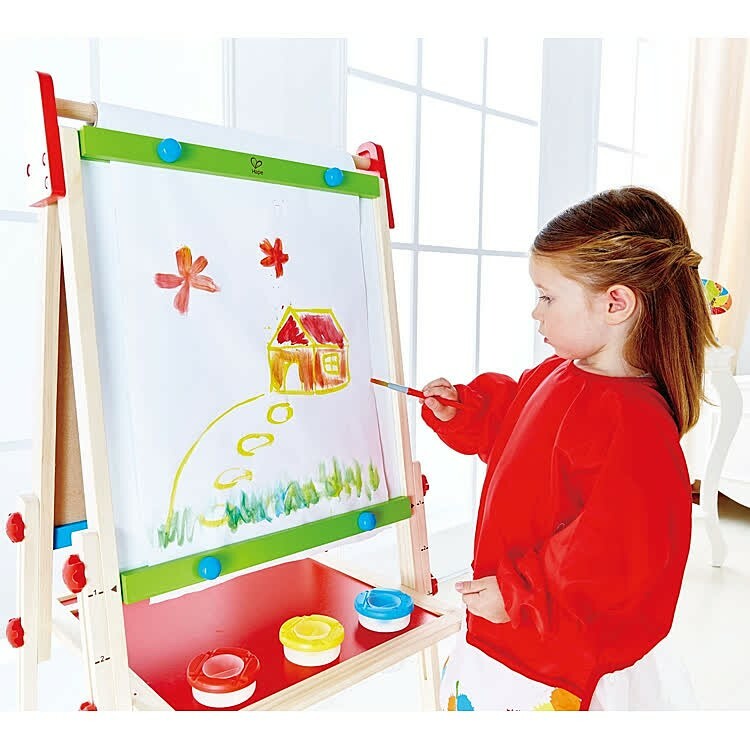 The kids art smock from Educational Toys Planet comes in one size that fits most kids ages 3-8 years. 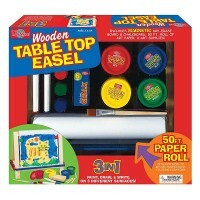 This painting accessory set is a must add-on to any easel or paint gift. 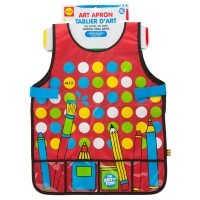 Dimensions of package 2.36" x 9" x 9.46"
Write your own review of Little Pro Painter Art Smock and Accessories Set.